A loan of $875 helped to buy a biodigester to turn his farm waste into resources to expand his milk production. 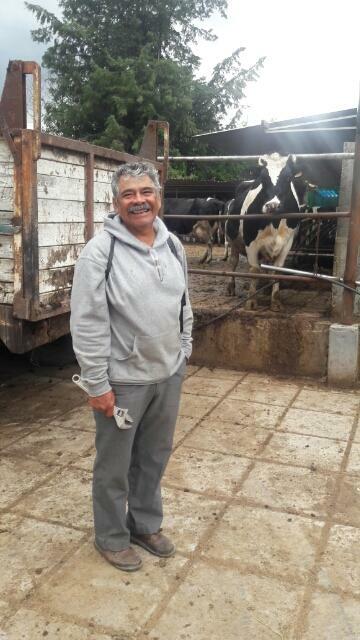 Rigoberto has a passion for producing quality dairy products, especially milk. He lives in San Martín with six family members. Rigoberto is buying a Sistema Biobolsa biodigester in order to reduce the costs of his business and to improve crop yields in order to save money for his family. Rigoberto finds himself spending a lot of money on non-renewable LP gas due to the heat required in the milk production process. By using the biogas generated by his 20 cubic meter Sistema Biobolsa biodigester, he will decrease both his costs and his carbon footprint. The same cow manure used to produce the biogas, will also produce a potent biofertilizer to use on his corn crops. As a result, the biodigester will allow him to sell milk from his cows heated using biogas, and also feed his cows with the forage fertilized with their own processed manure – a web of sustainability! This loan represents 51% of the price of the biodigester; the remaining part is paid directly by Rigoberto.